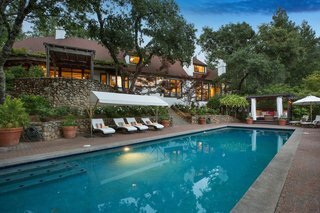 Here's your chance to own actor and director Robert Redford's sprawling 10-acre wine country getaway. 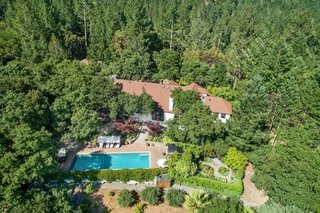 Robert Redford and his wife, Sibylle Szaggars Redford, have listed their 5,255-square-foot home in St. Helena, California. 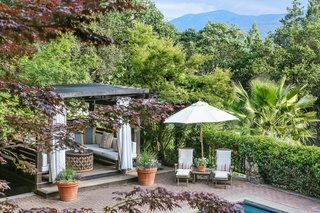 Known as Danza del Sol, which translates to 'Dance of the Sun,' the expansive three-bedroom, three-bath home is a quiet oasis in the midst of lush oak trees and features a resort-like pool with a redwood hot tub. 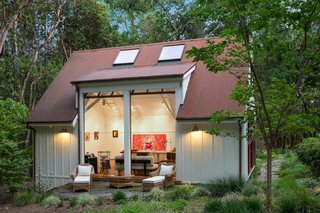 Other notable highlights of the exquisite, modern home include a 907-square-foot, light-filled artist’s studio, as well as a 960-square-foot detached multi-car garage/barn. Scroll ahead for a look inside the remarkable property. The living room features a wood-burning fireplace, as well as a tongue-and-groove ceiling that has been painted white. The bright and airy master bedroom features expansive glazing and has a high ceiling with exposed beams. 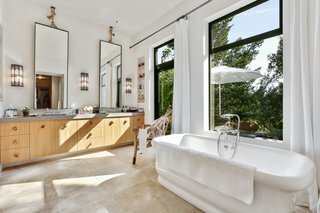 A look at the master bath. 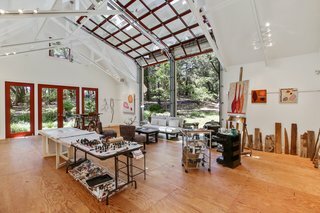 The light-filled indoor/outdoor art studio features large window-paned garage-doors, which open the space to its verdant surroundings. The interior of the art studio. The resort-like swimming pool is surrounded by lush greenery. A peek at the poolside cabana. The expansive property from above. 277 Via Monte Avenue, "Danza del Sol" is now being listed for $7,500,000 by Steven Mavromihalis of Pacific Union International.